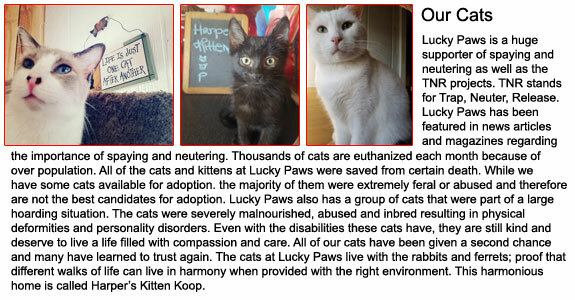 Lucky Paws is home to a variety of animals with the majority of them having been rescued from euthanasia. Our goal is to teach each and every one of them that we are here for them and that we care about them. 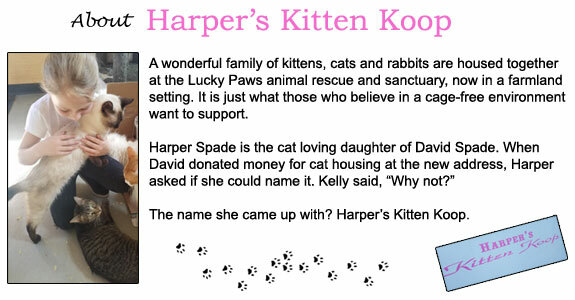 Please consider donating so we can continue to provide the love and care these animals deserve. Below are some of the sanctuary residents here at Lucky Paws!